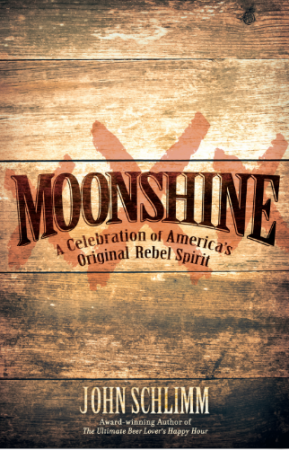 The PA Wilds launch of international award-winning author John Schlimm’s new book, Moonshine: A Celebration of America’s Original Rebel Spirit will be held Thursday, October 4, 2018, from 6-8 p.m., at The Eternal Tap at Straub Brewery, 303 Sorg St., St. Marys, PA. The event will include a booksigning and complimentary samplings of Straub Beer and moonshine from Chicken Hill Distillery. This event is free and open to the public. I.D. is required for the beer and moonshine samplings. Moonshine is available at the Straub Brewery Gift Shop and nationally wherever books are sold. With the release of Moonshine: A Celebration of America’s Original Rebel Spirit, I have now written 18 books while living in the Pennsylvania Wilds. From this home base of historic small towns, green fields, and vast woodlands, the impact of these books has reached far and wide across the U.S. and the globe—Italy, France, Korea, China. Their ripples outward carry with them the can-do attitude and gutsy fortitude that are rooted right back here in this land we love. While success is a thrill, and a blessing for sure, I never lose sight of where it’s grounded. I’m humbled to be merely a messenger with a pen. My name on book covers isn’t nearly as important as the party waiting inside on pages that I hope will inspire, entertain, impact, satiate, propel, and stand the test of time long after I have passed this way. Each of my books—in its own way—has been inspired by the fiercely independent spirit of this expansive stretch of 12 ½ counties in Pennsylvania. Like my great-great-grandfather, Peter Straub, who arrived here in Elk County almost 150 years ago in search of the American Dream and who later achieved that goal with his Straub Brewery, I too have sought and found my slice of the American pie right here in the PA Wilds. Whereas Peter’s dream was cultivated in a copper kettle and red-striped wooden barrels brimming with fresh lager, mine has been realized between book covers. My books—on topics spanning culinary and entertaining, inspirational memoir, how-to, history, educational, good works, essays, beer, and now moonshine—draw breath from the many forests and dirt roads, and occasional dive bars, I’ve travelled here, and the many characters I’ve come to know and love and count among my friends and neighbors. It’s here, in the PA Wilds, that I learned the meaning of resilience and chasing dreams, the wisdom culled from falling down and standing back up, the power of laughter and of silence, the joy of getting lost and then found, and the precious gift of family, friends, and legacy. It’s here that I first put pen to paper more than twenty years ago, and saw how words have the unique ability to provoke thought and incite celebration. The fresh air, water, and soil of the PA Wilds are sewn into my DNA. It’s this rock upon which I stand daily that has granted me the motivation and strength to write the largest beer cookbook ever published and the life-changing story of my five-year friendship with an elderly nun; to sit on TV sets in New York and Los Angeles and essentially look eye-to-eye with millions of my neighbors throughout the United States and speak my truth to power; and to stand on Capitol Hill and deliver a speech about compassion to some of the most powerful people in the world. And at the end of these many journeys, this rock always calls me back—to my quiet small hometown of St. Marys nestled snugly amongst comforting hills and valleys. Here in the PA Wilds, I can breathe amidst wide-open spaces, celebrate life to the fullest, once more put pen to paper, and simply be myself. It’s here that I discovered the rebel spirit beating within my own chest and I embraced it, while also glimpsing the same radiance of light in others. Writing Moonshine was a labor of love for me, as is getting to share it with all of you now. This book is very much my love letter to our individual and collective rebel spirit—that very PA Wilds trait ingrained in each of us who live here. 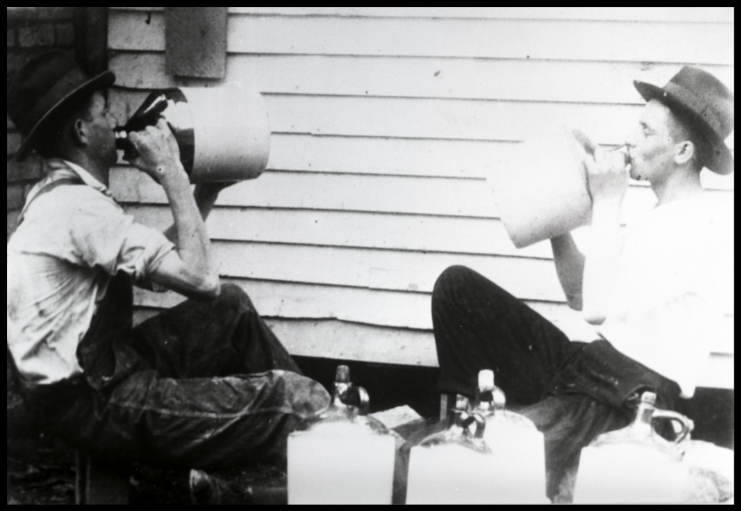 Within this 250-year-old, uniquely American story of the moonshiners—a people who refused to be deterred, who refused to be beaten down or intimidated, and who never wavered in their mission—is a rally cry that I hope will ignite each of you to further engage your own inner fire to pursue and reach whatever heights you desire. Moonshine is essentially two books in one. The second half of the book is a collection of more than 100 infused moonshine and specialty moonshine cocktail recipes—Moonshine Monkey, Party in the Holler, Creek Breeze, Moonshine Rita, Dirt Road Colada, Smokey Mountain S’more, and many others—to insure that your parties, great and small, are indeed BUZZ-worthy nods to life at its best. The iconic margarita gets infused with a dose of pure Appalachian magic complements of orange-infused moonshine and maraschino cherries that have been soaked in hooch. Rub the rims of 6 to 8 chilled Mason jars with the lime. Then press the rims into the salt. Fill the glasses with ice (cubes or crushed). In a blender, combine the remaining ingredients, except the lime wedges and cherries, blending until smooth. 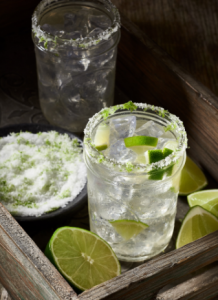 Serve in the Mason jars and garnish each with a lime wedge and maraschino cherry. Yields 6 to 8 cocktails. 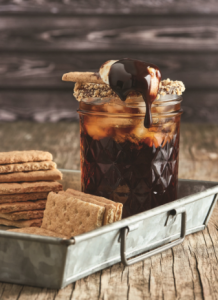 The classic, most beloved campfire treat of all time just got a moonshine makeover! Whether savored fireside or not, marshmallow-infused moonshine and chocolate liqueur prove that indulging your sweet tooth doesn’t get any better than this. Moisten the rim of a small Mason jar with water. Then press the rim into the cocoa. In a shaker filled with ice, combine the moonshine and liqueur, shaking well. Strain into the Mason jar. Drizzle with chocolate syrup, if desired. Garnish with the marshmallows and chocolate bar on a skewer laid across the top of the rip. Serve graham crackers on the side. Yields 1 cocktail. As Moonshine now makes its way from my writing desk in St. Marys out into the world, an indelible piece of the PA Wilds spirit likewise goes forth with every copy! 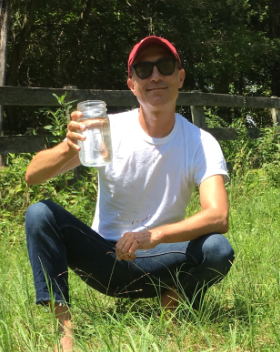 Born and raised, and still living in the PA Wilds, John Schlimm is the author of Moonshine: A Celebration of America’s Original Rebel Spirit (Citadel Press/Kensington Publishing Corp., 2018). The international award-winning author of 17 previous books, John is also a Harvard-trained educator, artist, and a member of one of the oldest and most historic brewing families in the U.S. (Straub Brewery, which was founded by his great-great-grandfather in the 1870s in St. Marys, PA). For more information or to connect with John on social media, please visit www.JohnSchlimm.com.